Can’t uninstall your Sage 50 Accounting software and reinstall it? Are you facing an error messages that says “You do not have sufficient access to uninstall Sage 50 Accounting. Please contact your system administrator”. Sometimes, your Sage 50 Accounting software stops performing the way you want, and uninstalling and reinstalling the software application is the only way left to ascertain its smooth functioning. But error messages like this make things difficult. “You do not have sufficient access to uninstall Sage 50 Accounting. Please contact your system administrator” error message is a known issue related to Sage Accounting products where a simple uninstall does not help. 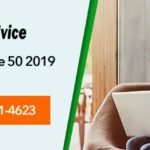 The issue occurs either because you are unable to delete Sage 50 installation key from the registry or because there are certain Sage 50 files and folders that are being shared by other software. In this article, we will outline some ways that you can follow to resolve the problem. However, the resolution steps for this error message are complex and you may need expert technical assistance to fix the issue. 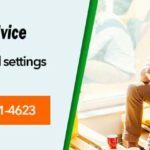 In case you are not able to fix the issue manually or if you are experiencing too many issues while uninstalling Sage 50 from your computer, give us a call at 18009614623. Our tech specialists can help you quickly resolve the error message to ensure minimum downtime and smooth running of your business. Press Windows+R keys to open a Run window. Now, in the registry editor, browse to the appropriate registry key for Windows and Sage 50. Next, locate the appropriate registry key for the Sage 50 version installed and delete it. Right click on the Installer and select Find. Now type Sage 50 in the search box. Click Find Next to locate and remove the appropriate registry key. Verify that you can successfully uninstalled Sage 50. Create a subkey called MSIServer. Set its default value to Service. This will set Windows Installer in Safe Mode and you will be able to successfully uninstall Sage 50 from your computer. Type ODBCAD32 and press Enter. Remove all the entries for Sage Line 50 within the User DSN and System DSN tabs. Confirm if Sage 50 Accounting software has been removed successfully. Click on Programs and Features and find and right-click on the version of Sage Accounts you want to remove. Click Uninstall to remove the program. Check if the issue has been resolved completely. 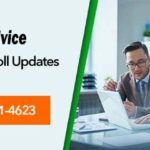 If the issue is still persists, uninstall all versions of Sage Accounts by once again going to Programs and Features and following the steps mentioned above. Once Sage Accounts has been removed, you can either delete or rename the accounts program directory. Following these steps should help fix the error message. But, if the problem still persists, don’t hesitate to call Accountingadvice.co at 18009614623.Our expert technicians are available 24X7, 365 days a year and can help you fix the issue in no time. We are one of the leading Sage support providers with a strong talent pool and a global footprint. Our certified and trained team of experts have years of experience in resolving Sage Accounting software related problems and can provide you comprehensive assistance to help you avoid a bad day at work. Whatever be your issue, our technicians can provide you the right assistance to ensure the smooth functioning of your business. 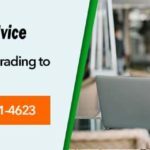 We provide first call resolution to even the trickiest computer issues and are well known in the industry for our performance and scalability. So, whether you are install, uninstall, or fix issues with your Sage Accounting software, call us on toll free sage 50 technical support number 18009614623 and avail the best remote tech support experience. Call now!